Mario, Luigi and friends are reportedly teaming up with the raving Rabbids for an RPG coming to the Nintendo Switch. Kotaku is a video game news website with incredible sources somewhere within the Ubisoft organization. They are reporting that an RPG that brings the Super Mario and Raving Rabbids properties together is not only being released, but it is being released very soon. The game will apparently be called Mario + Rabbids: Kingdom Battle and will be announced during the E3 Nintendo Direct and will launch something in August or September. The report was light on details, but indicated that the game would feature turn based combat, two player cooperative play, and all of the silly humor that we have come to expect from Mario and Luigi RPGs and the rabbids games. Players will be able to play as Mario, Luigi, Princess Peach, Toad, or a group of rabbids that just happen to look like them. 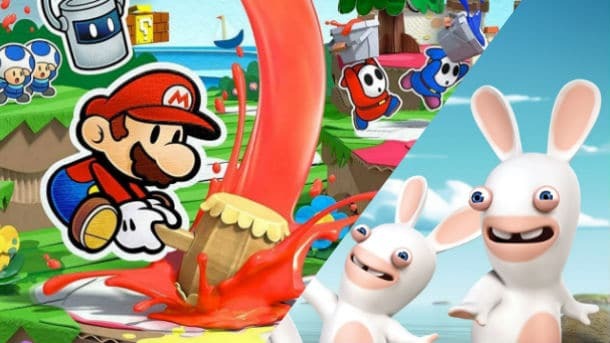 Nintendo has had some success with mash-ups before and their Mario and Luigi RPG series is a perfect place to inject the slapstick humor of the rabbids franchise. These games have also, typically, been reserved for the handheld market, so I find it interesting that they would put this on the Switch. It definitely makes me wonder what other commonly handheld games will find their way onto the Switch. Will you be playing Mario + Rabbids: Kingdom Battle this summer? Sound off in the comments. Bringing Your Kid to Their First Comic-Con or Geek Convention!